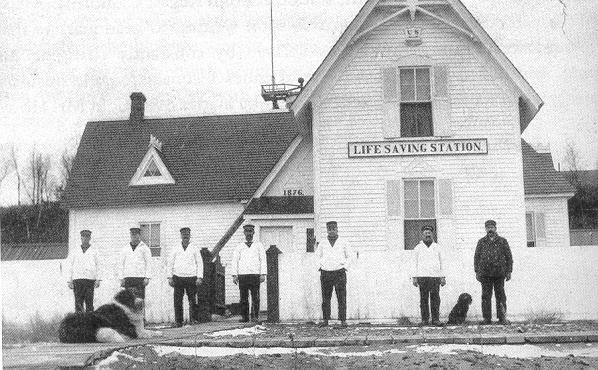 The men of the United States Life Saving Service, and various private benevolent societies such as the Massachusetts Humane Society, played a vital role in America's maritime heyday. These men -- volunteers at first, later part-time federal employees -- braved terrific storms lashing the nation's coastlines to rescue crews and passengers from wrecked ships. The hours were long, the work difficult and incredibly dangerous -- many lifesavers became victims themselves -- but these men are often forgotten by society. A typical Lifesaving Station. Most U.S. Life Saving Service facilities were built to similar designs; this is Station Deer Park, Michigan. Stations were manned by 7 surfmen (6 of whom are seen here) and a keeper, who was responsible for all aspects of the station's operation. Although the stations were only manned in winter, the keeper was responsible for mustering a volunteer crew and carrying out the rescue in the event of a summer shipwreck. The loneliest job -- beach patrol. Surfmen maintained beach patrols 24 hours a day during storms, and in hours of darkness during calm weather. Surfmen would walk patrols of at least 5 miles round trip, and sometimes up to 10 miles. In the event of a wreck, the surfman on beach patrol would light his flare to let the ship know they had been spotted, then rush back to the station to give the alarm. In pre-telephone days, the dash back to the station seriously slowed the rescuers, but there was an odd resistance to giving beach patrols horses so they could make haste more quickly. In populated areas beach patrols often enlisted the assistance of residents to speed word of a wreck, but in isolated areas they simply had to trek back to the station. Time did not always allow for the surfman to return to the station for help. 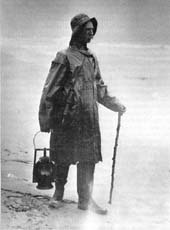 Surfman R. S. Midgett, walking beach patrol from a North Carolina station, single handedly rescued 10 people from a ship wrecked some three miles from the station. Although he was on horseback and thus could return to the station quickly, beach conditions would have held up arrival of the lifesavers for hours. Realizing there was only one hope for the crew, Midgett dashed into the surf 10 times, each time bringing back one of the ship's crew. The last three trips were made carrying injured members of the crew. Although the keeper thought his actions did not warrant special recognition, he received the Gold Life Saving Medal and became one of the Life Saving Service's, and later the Coast Guard's, most celebrated figures. The lifesavers' mainstay -- the surfboat. Surfmen from Station Manomet Point, Plymouth, Mass. pull towards a ship stranded offshore. Three men from this station were lost when their boat capsized during the first attempt to reach the stranded ship, which was in no danger of breaking up. This picture was shot after the storm had subsided. When surfboats won't do -- the Breeches Buoy. When ships were too close to shore for surfboat rescue, or when seas were too high to launch the boats, the breeches buoy was used. A heavy line was passed out to the ship, a sort of "life-ring with trousers" was hung beneath it, and people were brought in from the ship one at a time. The beach apparatus associated with the breeches buoy was complex and cumbersome, but many times it was the only way. 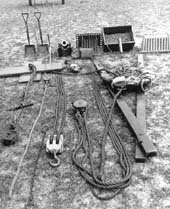 In this view most of the beach gear is laid out: at left rear are the shovels and pick used to dig in the sand anchor, the crossed wooden boards directly in front of the shovels. The sand anchor secured the inshore end of the main hawser. The cannon-like device is the Lyle gun, used to shoot a line out to the stricken ship. Its shot is the cylinder leaning against the wooden box; the box holds the shotline itself. The spike-like devices were used to coil the shotline so it would run freely when the gun was fired. The lightweight line running under the sand anchor is the whip line, used to haul the breeches buoy back and forth from ship to shore. The heavy line run through blocks in the center foreground was used to tension the main hawser. The A-frame-like wooden timbers at right are the crutch used to support the inshore end of the hawser. Atop the crutch is the breeches buoy itself; the main hawser runs through the block resting atop the buoy. All this equipment, along with the hundreds of feet of line required for the setup, were carried on a beach cart. 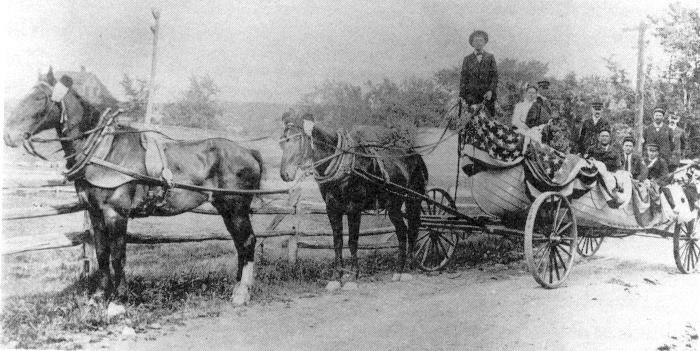 This cart was usually drawn by the lifesavers themselves, but sometimes a horse was employed. Dragging the cart to the scene of the shipwreck could be the worst part of the entire operation. The breeches buoy in action. At center is the crutch supporting the main hawser, which disappears seaward. The sand anchor is out of view to the right. The buoy itself appears to be out aboard the ship. 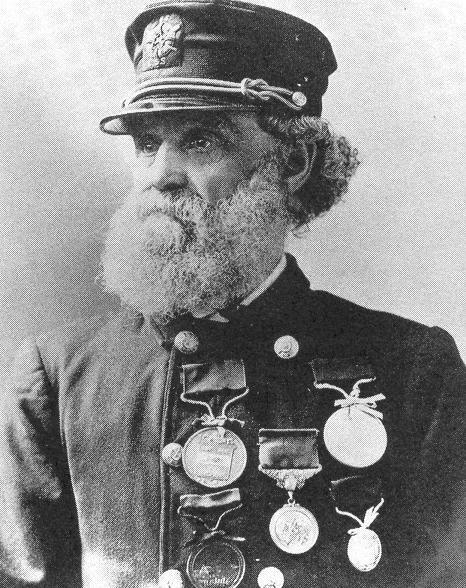 Joshua James, Keeper of Station Point Allerton, the nation's most decorated lifesaver. James joined a Massachusetts Humane Society volunteer crew in 1842, at age 15. In 1876 he became keeper of four volunteer stations along the Hull, Mass. coastline. In 1889, at the age of 62, he became the first keeper of the USLSS station at Point Allerton (Hull), Mass. He was then 17 years "too old" by USLSS standards, but an exception was made for an exceptional man. On November 25-26, 1888 he and his crew rescued 29 people from five ships. During the great Portland Gale of 1898, he saved 20 people from six ships, despite seas so large the surfboats could not be launched along the open shore. During the time he was keeper of the Point Allerton station, 86 vessels were wrecked along his shoreline. Massachusetts Humane Society surfboat Nantasket and Joshua James. Nantasket was a truly huge surfboat, built for the exceptionally rough seas around Hull, the shoreline just to the south of then-busy Boston Harbor. Contrary to U.S.L.S.S. practice, the boat is drawn by a team of horses, due to its great weight. This boat and its station survive to this day, preserved as the Hull Lifesaving Museum. 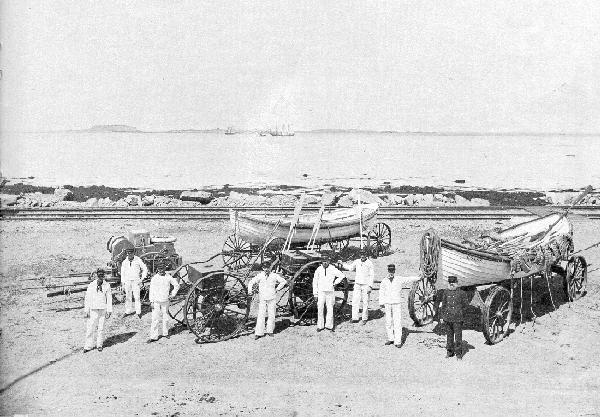 The cart in the foreground carries breeches buoy gear. 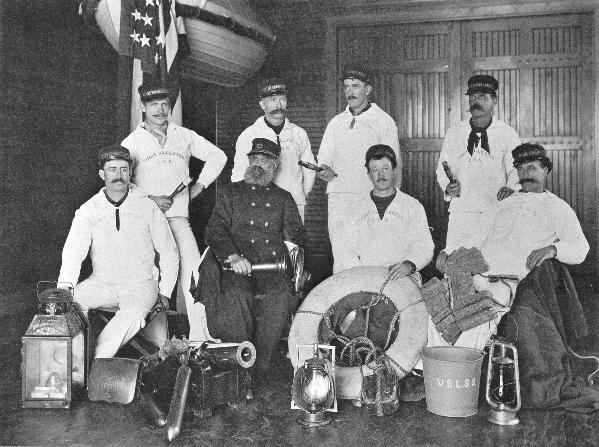 Joshua James and his U.S. Lifesaving Service crew. With the coming of the U.S.L.S.S., the equipment changed. The boat in the foreground is a standard U.S.L.S.S. surfboat, considerably smaller than Nantasket. 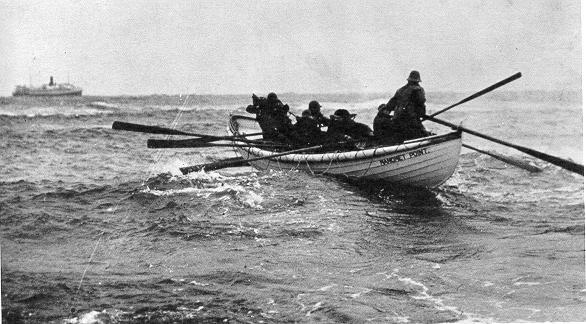 In the rear is a Beebe surfboat, a lightweight boat meant for distant rescues where transportation of the boat became a major issue. The three small carts carry breeches buoy gear. The entire 8-man station crew is seen here. 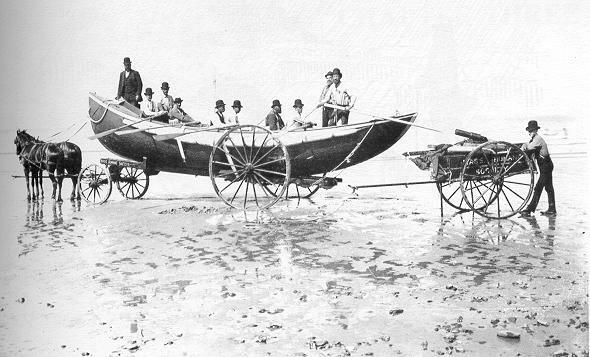 The men hauled the boats and beach carts themselves, although horses were often volunteered, borrowed, stolen, commandeered or otherwise employed to haul the boats and gear when long distances were involved. Word of a shipwreck usually brought volunteers running, often with horses to assist in moving the carts. Since the station crew could haul the breeches buoy or the boat, but not both, it was left to volunteers, or the crew from a distant station, to follow along with whatever the first crew couldn't drag. Joshua James and crew pose in Station Point Allerton. 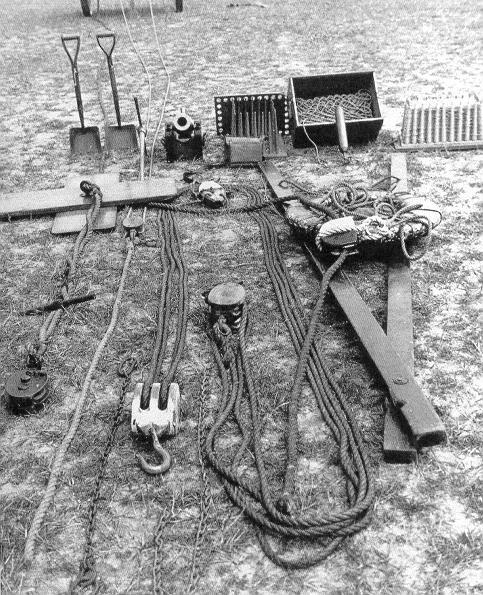 The equipment of their trade is well displayed. The gentleman on the keeper's left holds the breeches buoy; men in the rear hold flares. At far left is the lantern used to light beach operations; this was often supplemented by large bonfires. The Lyle gun is at the keeper's feet. Hanging behind the flag is a lifecar, an enclosed variant on the breeches buoy concept. The station and the gear are today maintained in functioning condition by the Hull Lifesaving Museum. Joshua James goes to his grave in a lifeboat. 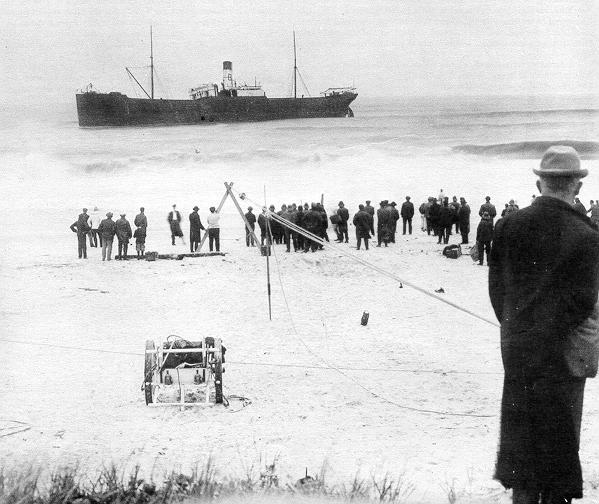 On March 17, 1902, tragedy struck the Monomoy Point (Mass.) station when all but one of their crew died in a rescue attempt. This disaster is said to have affected Joshua James deeply, and two days later he called his crew out for an extra drill, despite a northeast gale. At the conclusion of the drill, after the boat was landed, James looked at the surf, said "The tide is ebbing", and fell dead, aged 75 years. His last journey through the streets of Hull was in this lifeboat. 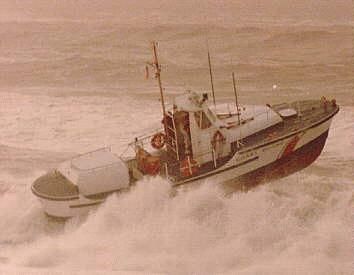 Although the U.S. Lifesaving Service is long gone, its legacy lives on in the form of U.S. Coast Guard small craft designed specifically for surf rescue operations. 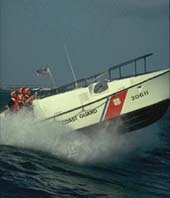 A U.S. Coast Guard 30 foot motor surfboat in heavy breaking seas. Modern successor to U.S.L.S.S's light, fast surfboats, these craft can dash into the surf, make a rescue, and get clear before larger craft can even arrive. 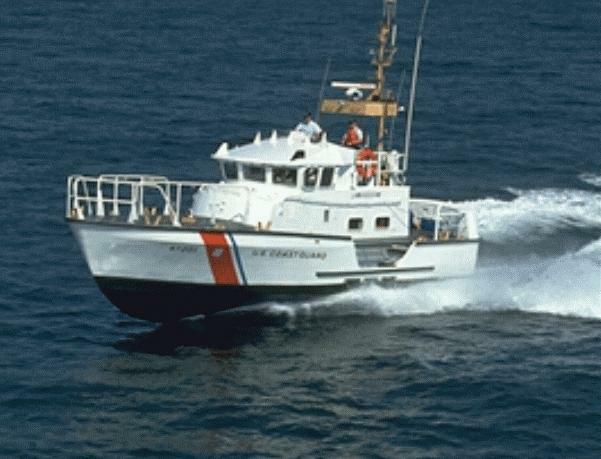 A USCG 44 foot motor lifeboat crossing a bar. These "unsinkable" lifeboats are successors to the big, heavy, reliable lifeboats of the Humane Societies and the U.S.L.S.S. Capable of operating under unbelievably rough conditions, these boats can roll 360 degrees in any direction and right themselves. In 30 years of service, only two of these craft have ever been wrecked, and there have been but three fatalities among "44" crews. The new 47 foot motor lifeboat. Successor to the venerable 44 footer, these boats promise to be twice as fast as the "44's", and they will be twice as seaworthy. Copyright © 1997-2003, Andrew Toppan. All Rights Reserved.